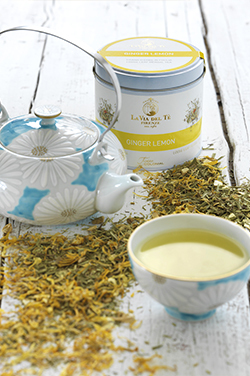 Tea properties have been known in the East since ancient times but this precious "elixir" is a beauty ally too. Today many cosmetic companies sells beauty products with tea as special ingredient, from face cleansers to body creams. The most used is green tea, rich of antioxidant components, such as catechins: because of its antiseptic, astringent and purifying properties, green tea is useful to reduce skin imperfections. White tea is used for the renowned anti-aging, revitalizing, toning and protective properties and the high content of amino acids as well as polyphenols, vitamins B, manganese, potassium, magnesium and caffeine. Even black tea with special reference to antioxidant and anti-inflammatory action, helps to improve microcirculation and protects against UV rays, as well as a wonderful conditioner for shiny hair.